In March, the study centre held its first professional short course and also played host to a lively maritime industry event. AMC Search, the commercial arm of the Australian Maritime College, ran a three-day Security Officer course from the study centre, which is located inside the Australian National Maritime Museum in Darling Harbour. 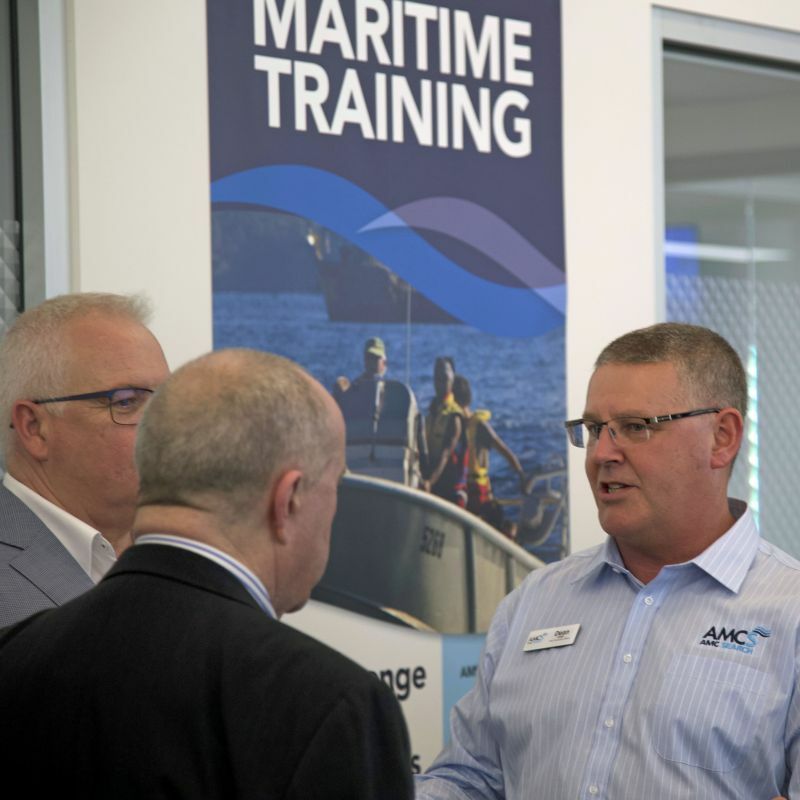 AMC Search CEO Dean Cook said that running maritime training from Sydney, as well as from Launceston and at clients’ premises, is designed to provide industry with greater flexibility. “AMC Search aims to provide maritime training as and when the industry need it. Offering courses in Sydney helps us provide more choice and convenience for organisations and individuals across the country who need maritime training,” Mr Cook said. Over 60 people from the maritime industry also came together at a networking event hosted by AMC Search on Thursday, 1 March. Organisations spanning defence, ports, shipping, renewable energy, pilotage and more gathered to find out about the training and education on offer from Sydney. Mr Cook said the event was a fantastic opportunity to meet industry colleagues and find out more about their training and education needs. AMC Search is running scheduled and on-demand maritime training in Sydney. AMC is also running postgraduate courses from July 2018.